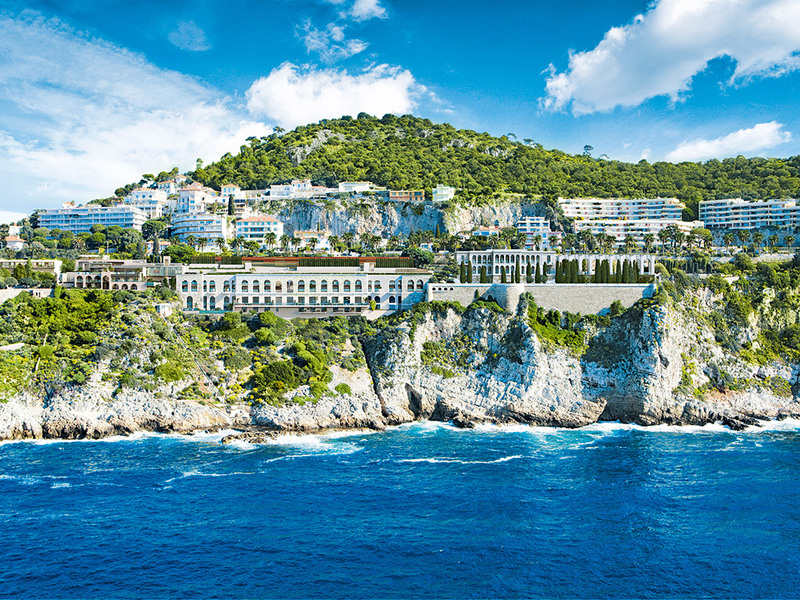 With sweeping, uninterrupted views of the Mediterranean Sea and all the excitement of Nice and Cap Ferrat on either side, there was never any doubt that when the Palais Maeterlinck Hotel shut its doors in 2008, it would not lie unclaimed for long. But nobody could have guessed that visionary developer Radovan Vitek and Côte D’Azur Sotheby’s International Realty were going to step in and restore the property, not only as a local landmark, but also as the luxury residence that foreign buyers have been hankering for. 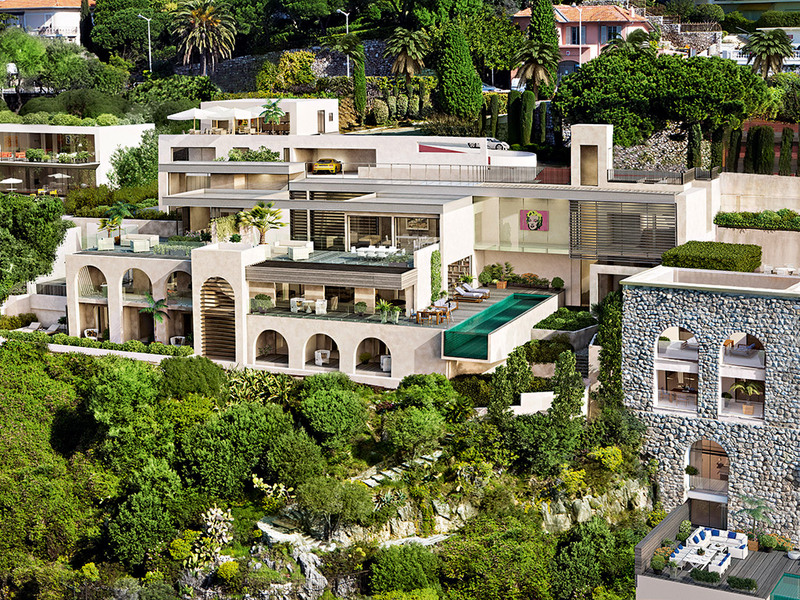 According to Peter Illovsky, President of Côte D’Azur Sotheby’s International Realty, the company recognised a severe shortage of truly exclusive properties in the area, so they took it on as a challenge. “We have recognised a need for high-quality properties in this region because often clients come to the French Riviera, they invest in a house, and then have to spend two to three years renovating it,” he says. And all the better if the toothbrush is resting in the palatial marble bathrooms of an iconic local landmark such as the Maeterlinck. Luxuriously redeveloped into spacious holiday apartments, the property maintains all of the charm that attracted Count de Milléant in the 1920s. The French aristocrat came with the dream of building a casino on the cliffs between Nice and Cap Ferrat. Though his project – the Castellamare – never materialised, it was enough for others to realise the potential of such an exquisite location. Nobel Prize-winning author Count Maurice Maeterlinck acquired the property shortly afterwards and transformed it into a private residence known as Orlamonde, which quickly became a hub for international personalities flocking to the Riviera for a bit of glamour. It was not until much later that it became the four-star hotel known as Palais Maeterlinck, which survived until 2008. With fewer clients and a higher budget, the Palais Maeterlinck project evolved from a high-end apartment complex to an ultra-luxurious collection of serviced properties. “There will really be a community created on a very high level,” said Illovsky, explaining why they have decided to offer services like 24-hour security, with a guard, video surveillance of the boundaries and access, a concierge service on-site and a complimentary management service to help organise cleaning, laundry, grocery services and whatever other needs proprietors might have. But buyers don’t come looking only for luxury when shopping for a Riviera base. Illovsky, who has vast experience in the region, understands that better than anyone, though is the first to admit that Palais Maeterlinck is a unique project in many ways. “The typical Côte D’Azur Sotheby’s International Realty customer is different from the customers looking to buy property at the Palais Maeterlinck,” he explains. “The customer for Sotheby’s International Realty can be anyone; a German industrialist or a Russian millionaire. We have several agencies operating around the French Riviera we can really help these diverse clients find the right property.